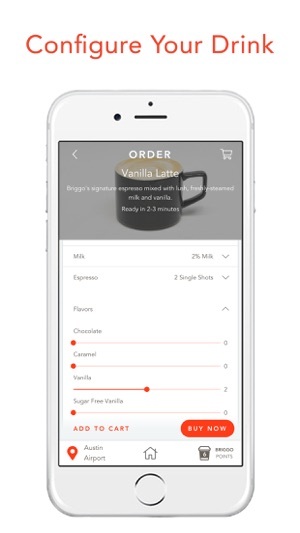 Briggo is the leader in Connected Coffee, empowering people to create perfectly customized, gourmet coffee on-demand. 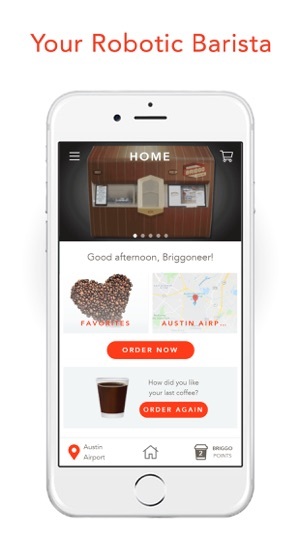 The Connected Coffee Experience leverages Briggo’s whole-bean Latin American blend, fresh dairy, and gourmet syrups to deliver quality, consistency, and convenience through a mobile app and robotic Coffee Haus. 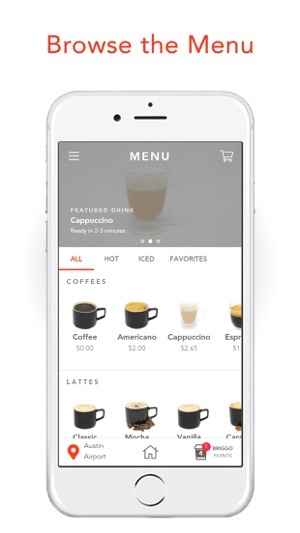 Order remotely from the app or at the Coffee Haus and customize your drink exactly the way you want it. 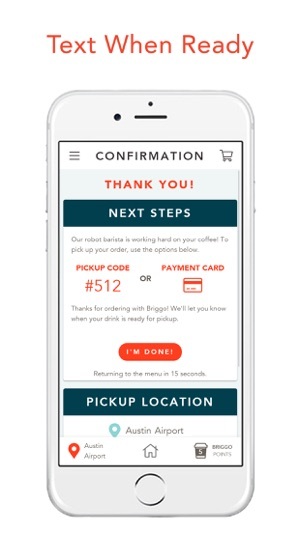 Get a text when your order is ready, grab your drink, and you’re on your way. 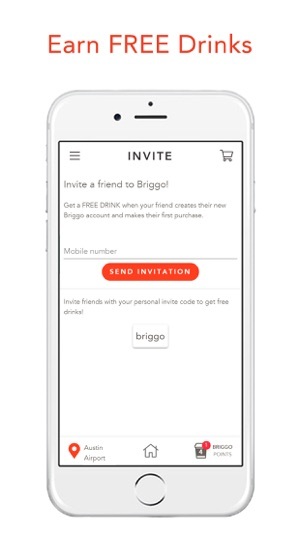 App users automatically collect loyalty points towards free drinks with each purchase, inviting friends & family, or preloading your account balance. You can learn more about some drink ingredients, specifically our coffee, while creating drinks. 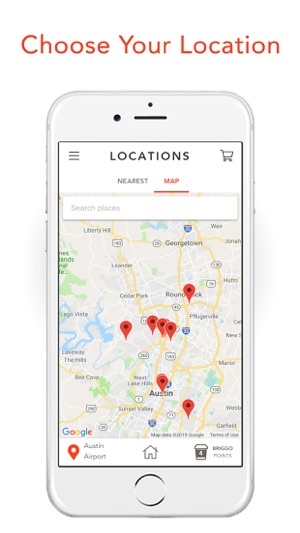 Also fixed a couple of issues with ordering from our sample menu and sending and accepting invites. I used this at the Austin Airport yesterday and couldn’t believe how great the coffee is. Hli first just ordered at the machine. Had an Americano with and extra shot and cream. Came out exactly how I like it and I enjoyed it while waiting for my boarding time. Ended up downloading the app, and ordering a second one to take on the plane. This morning I ordered the same drink at St@rbucks to compare. Not even close to the great coffee flavor I got from a robotics machine! Wish there was one of them here in Chicago! We have one of the Briggo machines in the cafeteria of our office and it’s the best! I love how you can customize your own coffee! I managed to make my favorite coffee with the customization options. The prices are reasonable, the taste is great, and pick up is super simple! So forget that old-timey coffee pot!